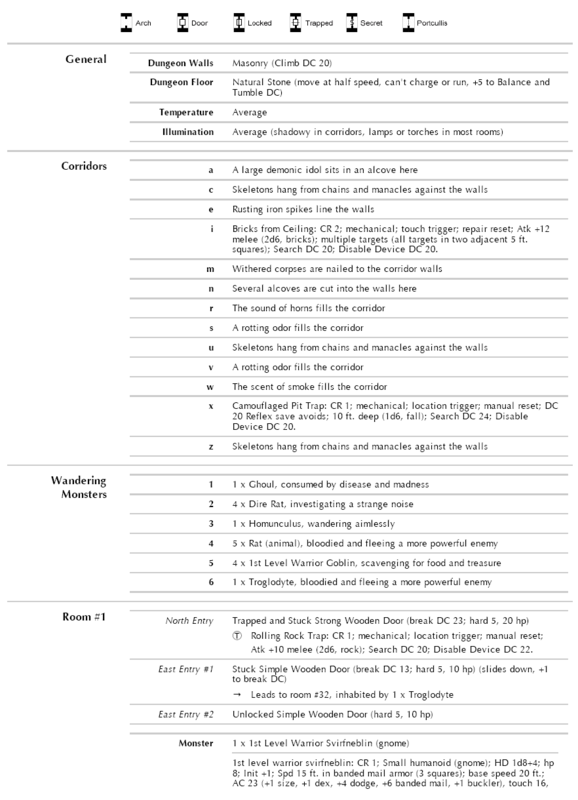 The donjon web site is a fantastic rpg resource. Not only will the site generate a fully stocked dungeon with the size and level specifics you provide, but it will do so for several different versions of D&D as well as generic fantasy too. 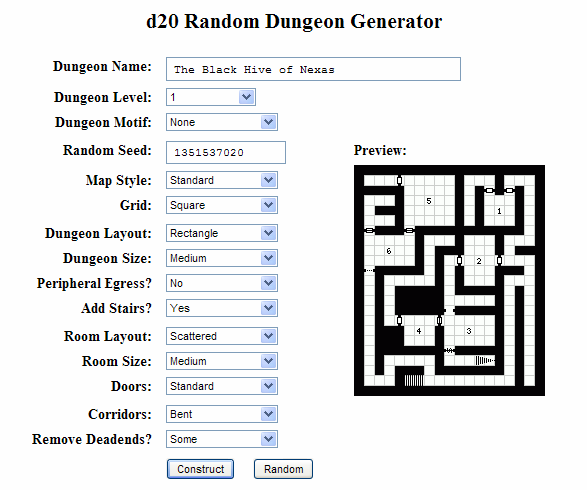 The generated dungeon material can be downloaded as a nice pdf package once the desired results are obtained. What an awesome FREE resource. Cudos to the donjon folks! 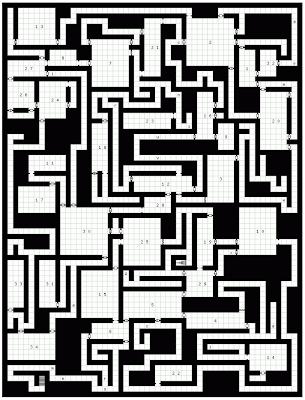 Dungeon created as a result of the settings above. 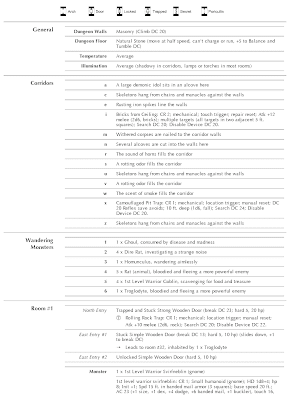 Example dungeon and room description for the dungeon above. 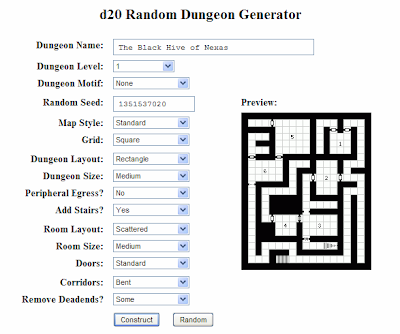 There are other generators that are handy for several genres of rpgs, not just fantasy. The person or persons responsible for this site have been doing it for quite a while and as a result, many of the offerings are quite polished and offer lots of variety.